One thing I look forward to most in the Fall is this recipe. 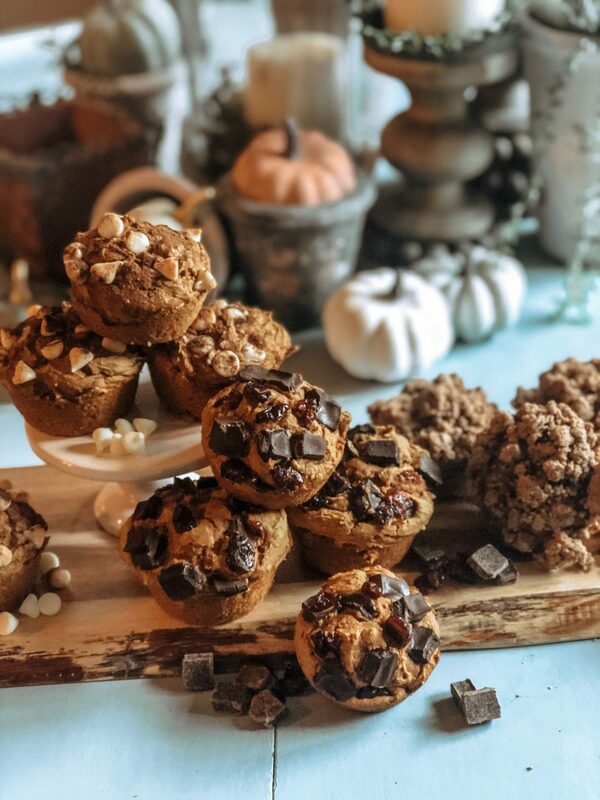 Growing up my mom made these pumpkin muffins all the time and that is a tradition I am more than happy to continue. 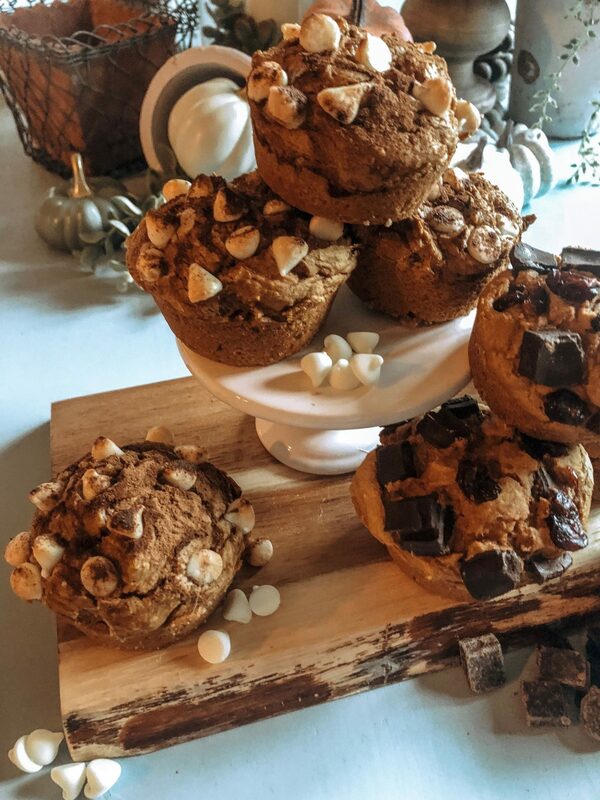 If this recipe looks a little familiar, it’s because it is! 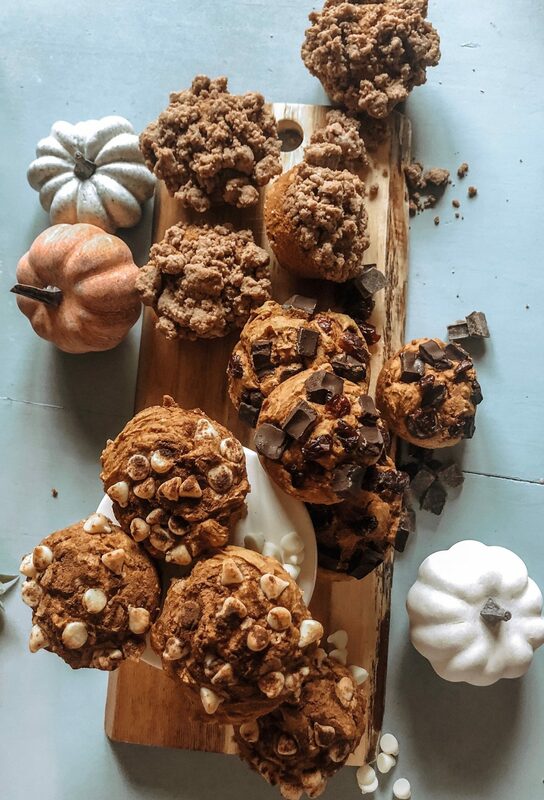 I’ve shared it here as double chocolate brownie bites and here as pumpkin cookies, but each one is a little different and worth checking out! 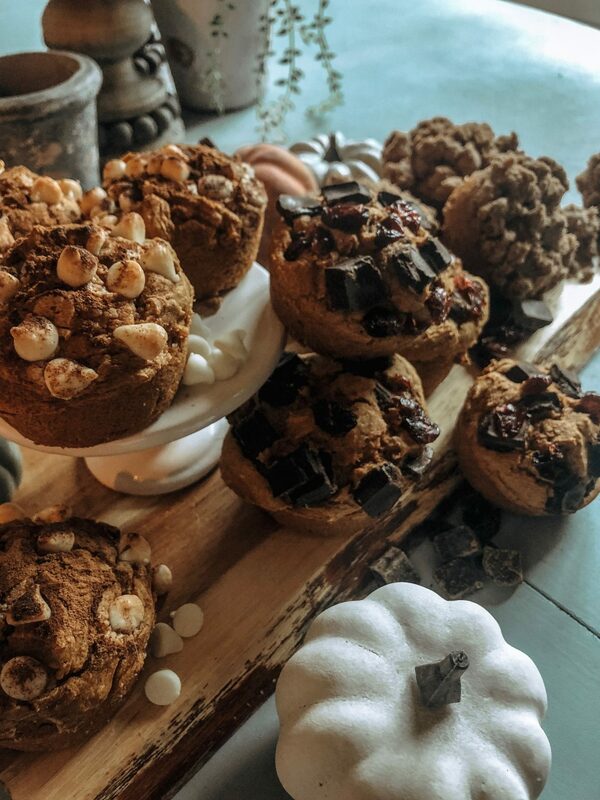 Today these pumpkin muffins are getting a little makeover, well three little makeovers to be precise. 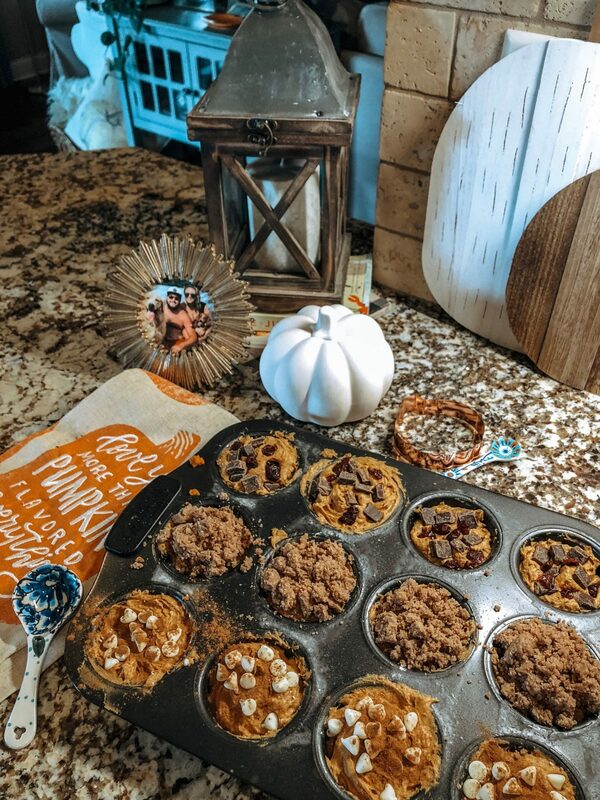 I am sharing how to create White Chocolate Pumpkin Pie Muffins, Walnut Streusel Pumpkin Muffins, and Dark Chocolate Cherry Pumpkin Muffins. 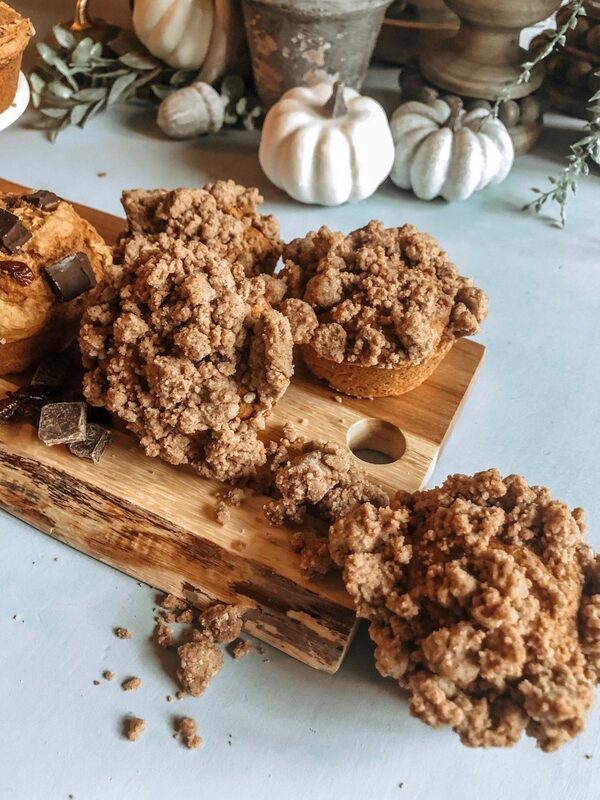 A trio of delightful, fall, pumpkin muffin goodness! I was trying to pick a favorite out of these three, but I cannot! 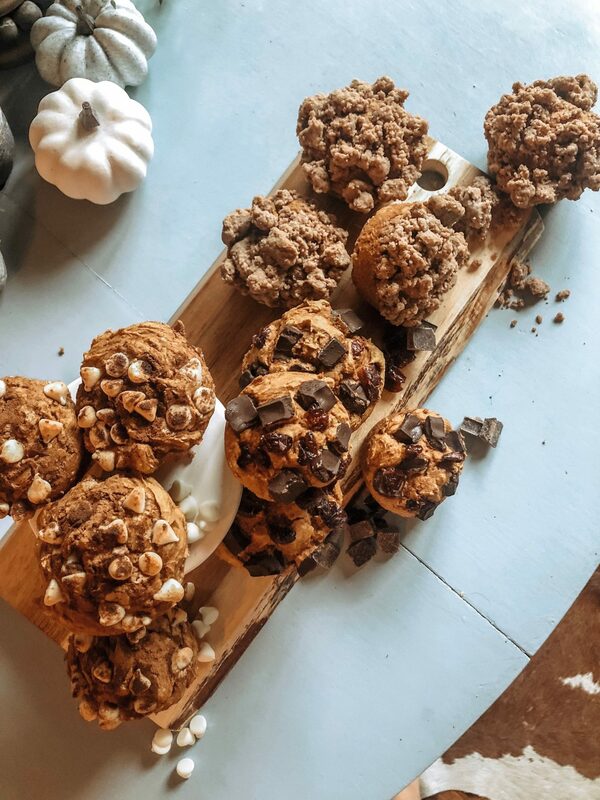 I think pumpkin muffins are my ultimate weakness. I keep them in the fridge and heat them up for about 25 seconds before I eat, pure heaven. 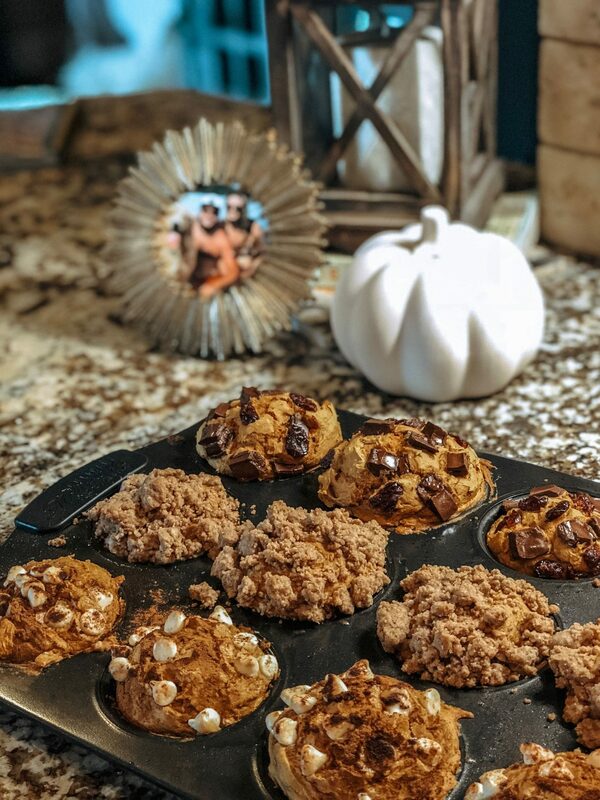 The streusel pumpkin muffins remind me of a breakfast crumb cake, but healthier! The other two are a delicious dessert option. You really cannot go wrong. 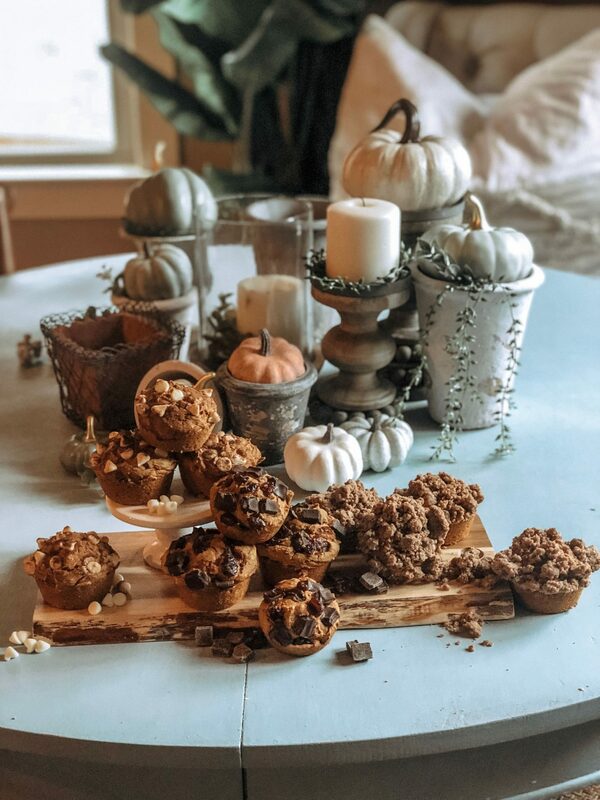 To make Streusel: mix walnuts, butter, flour, brown sugar and pumpkin pie spice together until well combined with a fork, top muffins before baking. It should create a crumbly mixture, if yours is runny add more flour until it crumbles. 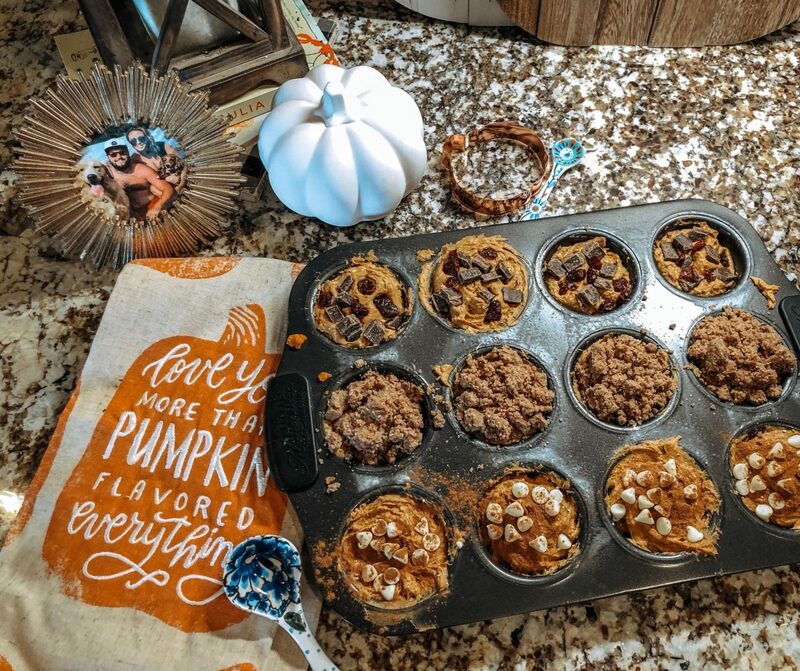 To make White Chocolate Pumpkin Pie: Mix chips in before spooning into the batter before spooning into the muffin tin, top white chocolate mixture with pumpkin pie spice. 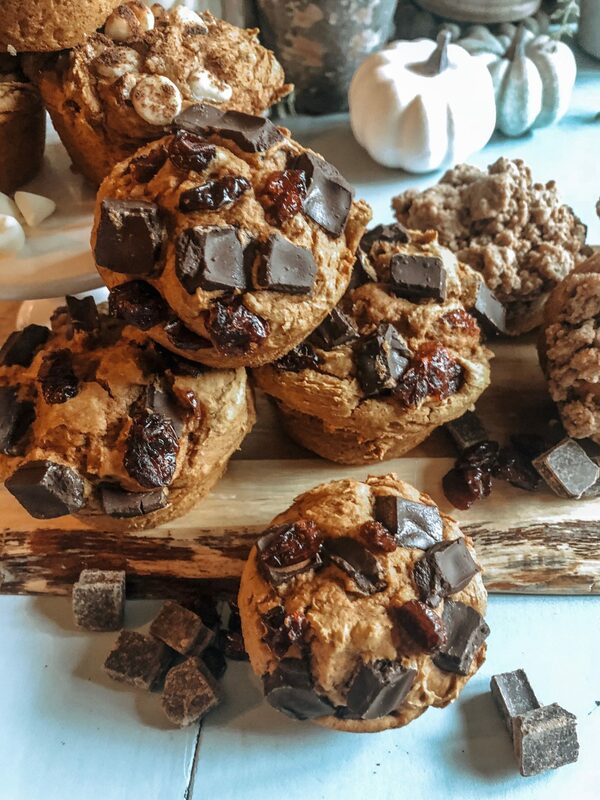 To make Dark Chocolate Cherry: Mix chips and cherries in the batter before spooning into a greased loaf pan, bake for 17-20 minutes or until firm to touch. *A few tips: I like to let them be a tad undercooked and finished in the pan. They should be slightly firm to the touch. 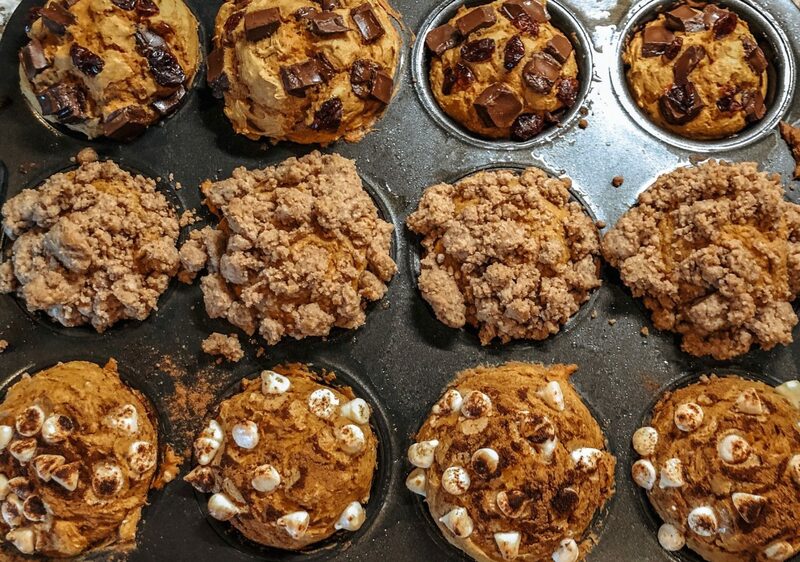 Baking time can vary, from 13-20 minutes depending on your oven, toppings, etc.. 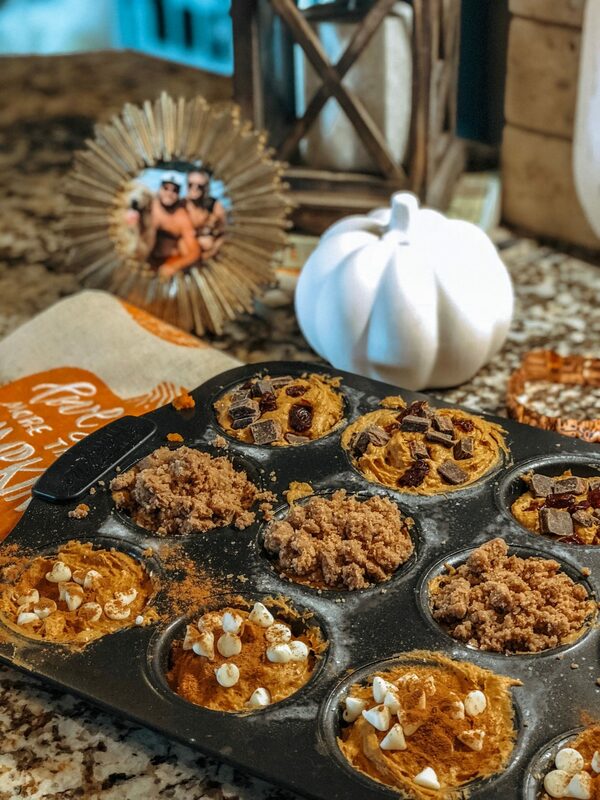 I love baking these for friends and family as Fall rolls around, is there a better way to win someone over than pumpkin muffins?! I think not! Soft, gooey, moist- this is a recipe everyone will love and so, so simple. Previous Post Spiked Iced Coffee You’ll Fall in LOVE With (SUPER Easy). I can’t wait to try these!!!! 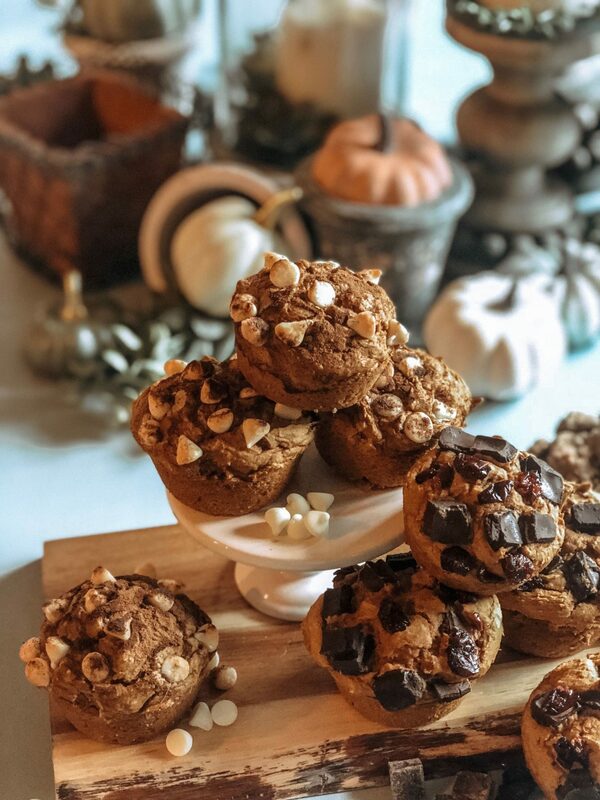 My mom always makes pumpkin muffins for me but now that I’ve moved far away I can’t have them as often 🙁 I can’t wait to make these soon!!! Also so interesting that it’s literally only two ingredients!